Father John Mary Chung grew up in a very close-knit family in South Korea. 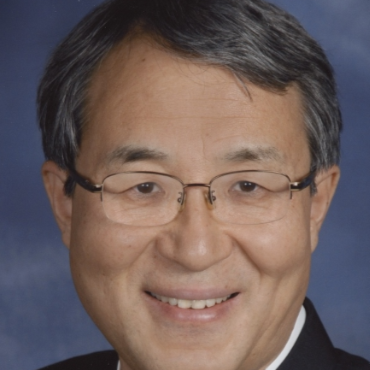 He came to the U.S. as an adult after earning both his BA and MA in English and English Education from Seoul National University, the most prestigious university in South Korea. In the US, he earned a PhD in English Linguistics from the University of California at Berkeley, and subsequently chaired the Korean program at Smith College, in Massachusetts. Smith College is alma mater to two US First Ladies, Barbara Bush and Nancy Reagan, and it is one of the most prestigious women’s colleges in the nation. While teaching at Smith, Father discerned his vocation to the priesthood. He furthered his discernment of a priestly vocation at Pope St. John XXIII National Seminary, in Weston, Massachusetts. After his second year of Theology, Father spent a pastoral year serving at St. Hilary Parish, in Tiburon. Once ordained to the transitional deaconate, Deacon Chung travelled to the Holy Land, where he had the privilege of assisting at Christmas midnight Mass in Bethlehem, celebrated by the Secretary General of the Custody of the Holy Land. Another splendid and distinct honor was yet to follow forDeacon Chung, not a year later. 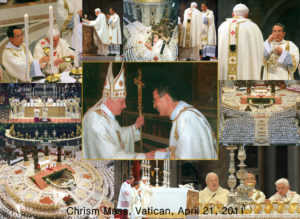 On Holy Thursday, April 21, 2011, Deacon Chung was chosen to assist His Holiness Pope Benedict XVI, at the Chrism Mass at St. Peter’s Basilica (see photo montage), where he served as Deacon of the Eucharist. 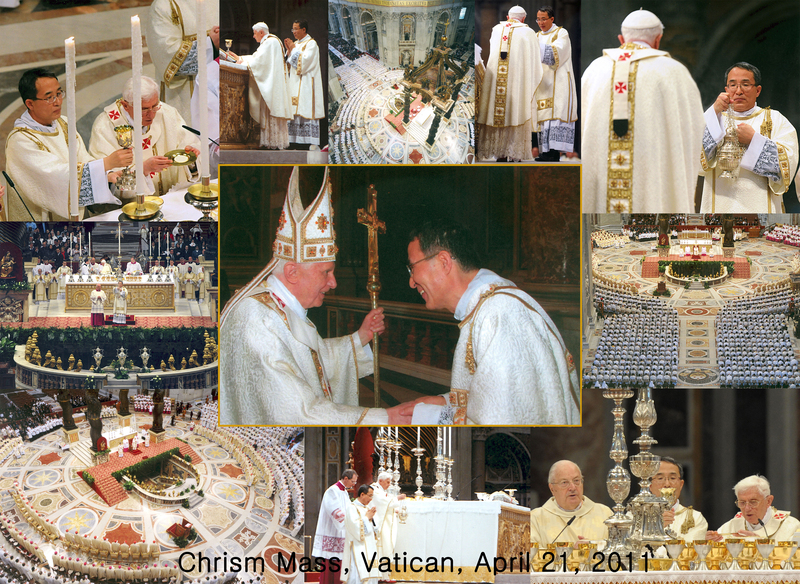 Father Chung was ordained a priest soon afterward, in June, 2011, for the Archdiocese of San Francisco. He has since served as associate pastor at both Nativity Parish in Menlo Park, and at St. Elizabeth Parish, in San Francisco. Both Father Chung’s parents have passed away. His four siblings, spouses, children, and all, are converts to the Catholic Faith, and live in South Korea. An avid reader, Father Chung also loves music; especially, listening to Baroque music, Gregorian Chant, and medieval polyphony.